Mention Kazakhstan and most people would think about the comedy character Borat. The 2006 film depicting a Kazakh TV journalist resulted to a huge boost in tourism and for good reason. 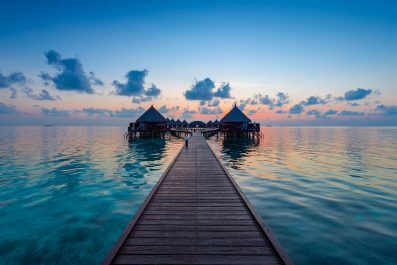 Many of us do not know that the country has so many destinations that are Instagramable and bucket list worthy. The problem is, Kazakhstan is so big that it will force you to make some hard choices. We know the drill. You’ve only got a week in Kazakhstan, but you want to see as much as possible right? 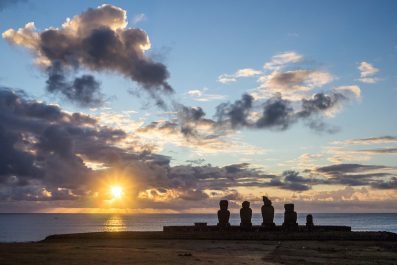 Our suggested itinerary ensures that you truly experience the rich culture and the natural wonders of this beautiful country; to see the most in 7 days. Ready to go? Language – The Kazakh is the official language in Kazakhstan. Russian is another language which is spoken by all. English is not widely spoken in Kazakhstan but mostly members of the younger generation in larger cities can. Before entering the country, it is advisable to learn a few Kazakh/Russian words and phrases to facilitate your travel and to get to your destination quicker. Currency exchange – The Kazakh Tenge (KZT) is the official currency of Kazakhstan. Exchanging money is easy and follows the same standard to elsewhere in Asia. 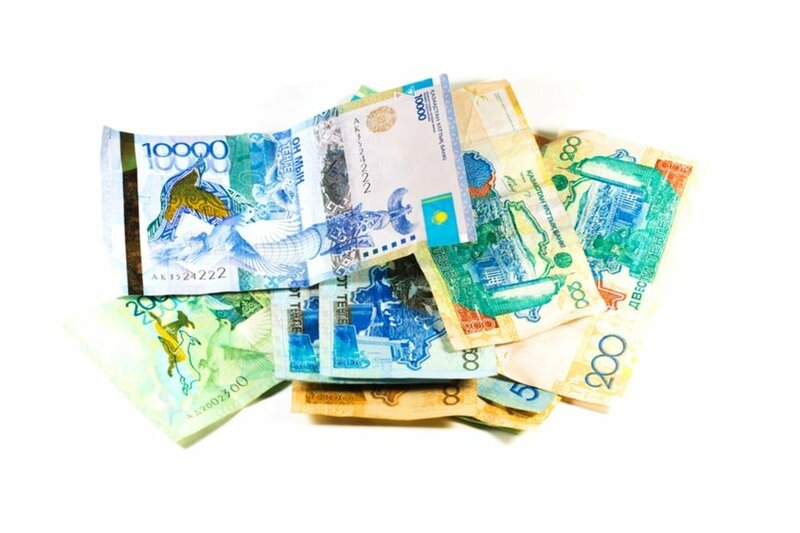 You can exchange currency at the airport, hotels, malls, local banks, and money changers throughout Almaty. ATMs are plentiful, all accepting international credit cards and debit cards, so it’s easy to withdraw your money in Tenge. Credits cards are commonly accepted in most restaurants and hotels. Safety and security – There is currently no nationwide security advisory in effect for Kazakhstan. Check your country’s travel advisory website to get the most up-to-date information for your personal safety abroad. 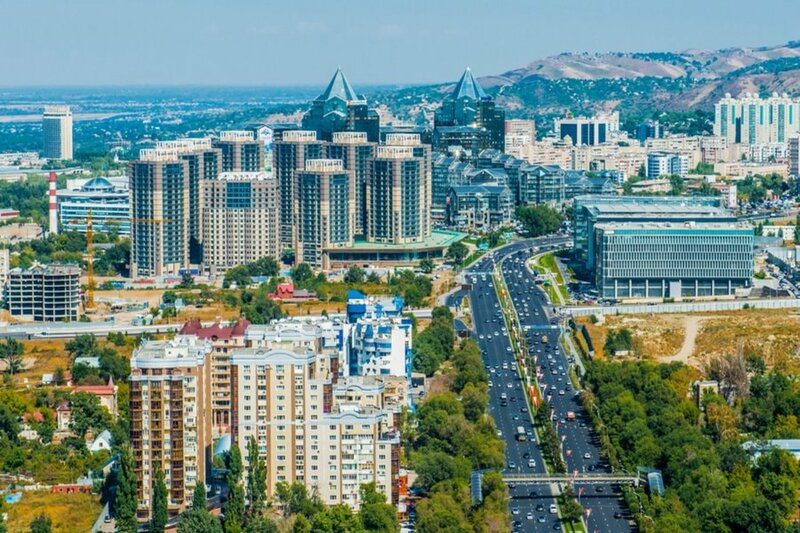 Although most visits are trouble-free, remain vigilant because petty crimes like pick pocketing and theft do occur especially in Almaty. Getting to Kazakhstan – Almaty International Airport is the main airport in Kazakhstan. The airport is 30 kilometers from Almaty and it is served very well by public transport. The trip between the airport and the city center takes about 30 minutes by car. Kazakhstan’s national airline is Air Astana and it operates regular schedule to many European airports as well direct flights to Hong Kong, Bangkok, Seoul, Beijing, Ho Chi Minh City and many more. If you are coming from Russia or China, there is an option to travel to Kazakhstan by train. It is a unique experience but it is far from a comfortable one. Where to stay – Kazakhstan has a wide range of accommodation options, with something for every level of comfort and budget. There are also plenty of apartment rentals if you prefer the comfort and convenience of having your own place with cooking facilities. 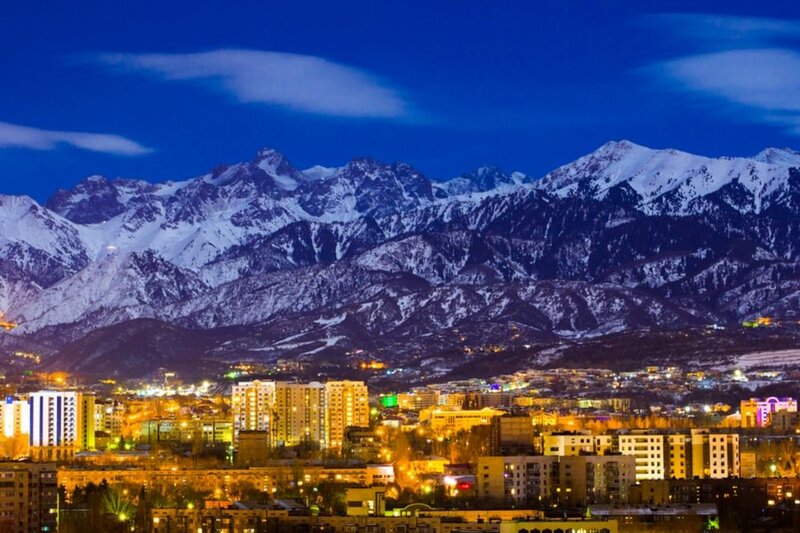 If you are going to follow our suggested itinerary, you have to find a place to stay in Almaty. 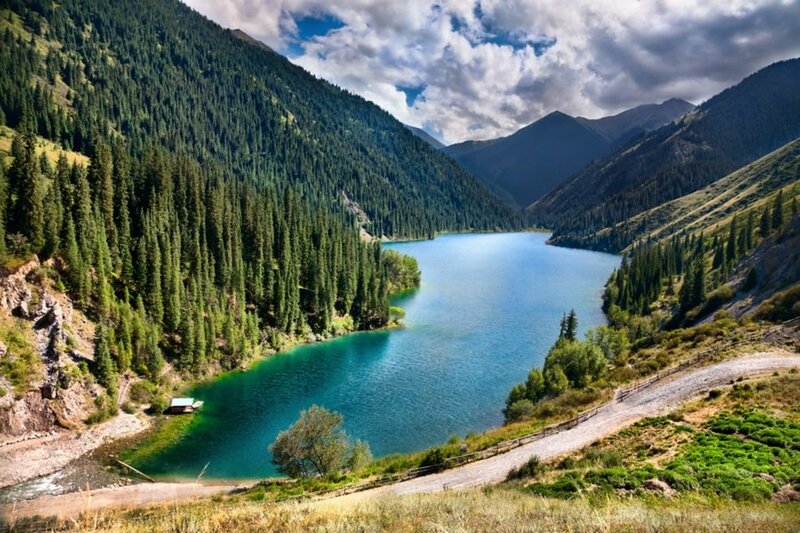 Getting around – Almaty features a good transport network consisting of metro, buses and taxis. Buses are great if you are traveling short distances. If you’re going right across the country, it’s best to use the train or consider taking a short flight. If you are on a luxury vacation, consider hiring a driver to take you around. This option is expensive but will give you complete control of the trip. Renting a car and driving on your own is another great option. Your 7-day adventure in Kazakhstan starts today! Schedule a flight that will arrive early in Almaty International Airport (ALA). The airport is about 15 kilometers away from the city center. Eko-Taxi and Local Bus Number 3 are available outside the Arrival Hall and provides 24/7 service to the passengers. After check in at your preferred accommodation, minimize your jet lag by spending a lot of time out in the sunlight so your body can adapt to its new surroundings. Wear a comfortable walking shoes as you will do a lot of walking for today. There is no better way to get acquainted to the city than visiting Central State Museum of Kazakhstan, the largest museum in Almaty. The museum has rich and diverse collection of artifacts, archaeological findings and other objects of cultural and historical significance. Another must visit is the Park of 28 Panfilov Guardsmen, a great educational attraction that will surely give you better understanding of the Nazi Occupation and the 28 brave soldiers who fought them in the World War II. Also not to be missed is the First President’s Park, dedicated to the First President of the Republic of Kazakhstan. This is perhaps one of the most picturesque part of the city because of its stunning mountain backdrop. End your day at Kok-Tobe, the highest point in Almaty. This is a perfect place for sunset viewing where you can get a stunning panoramic view of Almaty and beyond. After having a filling breakfast, set out this morning for the impressive Big Almaty Lake, located within the Ile-Alatau National Park. Backdropped by the zigzagging mountain peaks (Sovetov, Ozerniy and Turist), Ile-Alatau National Park is a sprawling 200,000 hectares home to some of the most otherworldly scenery you could ever imagine. 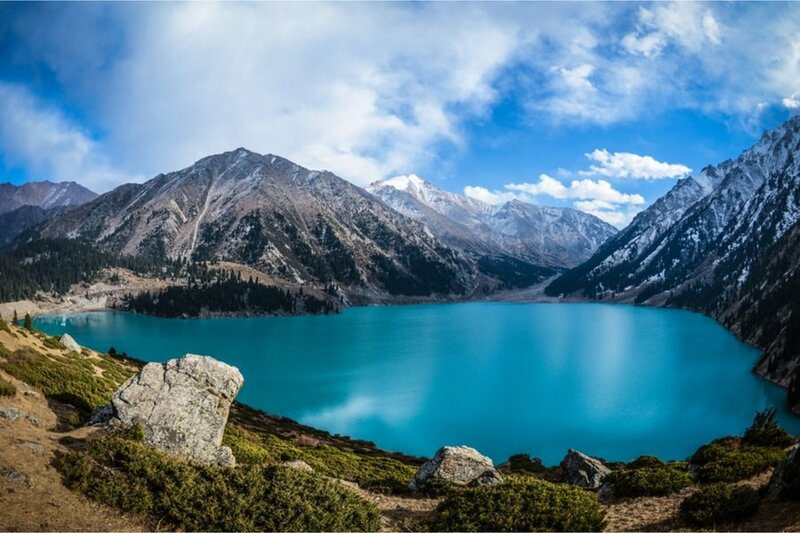 The Big Almaty Lake is more than 2,500 meters above sea level so it is not surprising that you will find the Tien Shan Astronomical Observatory and Tien Shan Alpine Scientific Station near the lake. There are plenty of tours offered online, so make sure to read reviews first before you make your reservation. On your third day, leave the concrete jungle again for the amazing Kolsai National Park, where you will be staying overnight at a homestay or a traditional Yurt. No trip to Kazakhstan would be complete without staying in a traditional Yurt camp, traditional tents made of felt and well insulated. This experience will give you a glimpse of Kazakh family life and taste authentic Kazakhstan food. Do not worry about making a reservation ahead of time because there are plenty of camps near the first lake of Kolsai National Park. A whole yurt costs around 7,000 KZT (21.30 USD) per night without food and 10,000 KZT (30 USD) with three meals. Pitching your own tent is also allowed but you will be asked to pay a minimal camping fee (750 KZT per person but not many people bring their own tents half-way around the world). On day 5, you can leave Kolsai National Park early and travel to your next destination Charyn National Park, one of the most beautiful places in Kazakhstan. It is one of the best places in the country for landscape photography because of its unique combination of multi-colored gorges, sandstone canyons, forests and mountains. 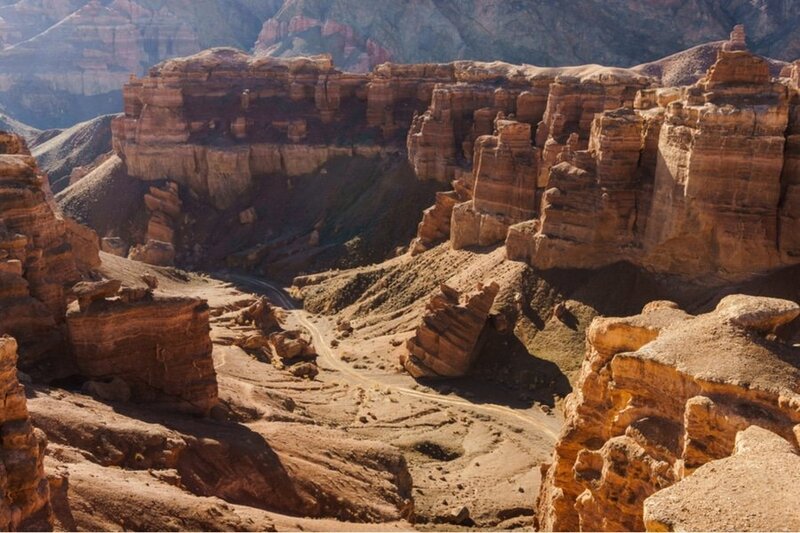 There are 5 canyons you can visit on your 2-day adventure in Charyn National Park – Valley of Castles, Temirlik Canyon, Yellow Canyon, Bestamak Canyon and Red Canyon. This tour can either be done DIY-style or thru a travel operator. 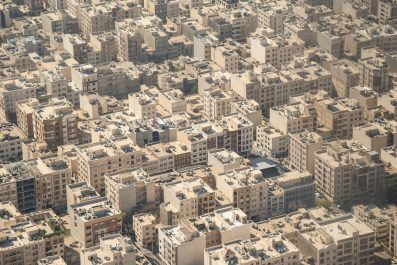 For more information, you may visit Caravanistan’s official website. Today is your international flight out of Kazakhstan. If you still have time, fit in an amazing breakfast or lunch in Almaty. You could even squeeze in some souvenir shopping before you travel to the airport. Head to the airport in time to check in for your international flight, opt to continue traveling independently, or extend your stay in Kazakhstan. The decision is all yours! Have you been to Kazakhstan? Do you have any tips or suggestions to share? If so, you can leave your comments below.